Just wanted to share that my friend Robert Bidinotto has a new book out today. It’s a thriller called Bad Deeds and it is the sequel to his first novel Hunter, both starring vigilante Dylan Hunter. So, if you are a fellow Vince Flynn or Brad Thor fan, I definitely recommend you check out Mr. Bidinotto’s thrillers. And if you enjoy his work, please, please, please spread the word. Indie authors survive by word of mouth. They put in a great amount of time and hard work, because they not only write the novel, but have to market it themselves as well (in which I am sure you know this). And many of my favorite authors are indie authors, or authors that have started by self-publishing. 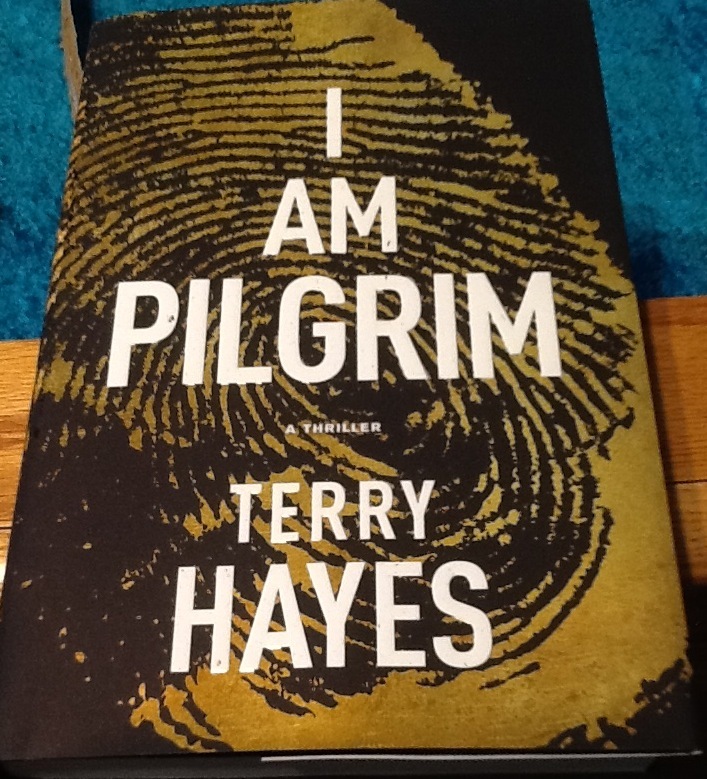 “I AM PILGRIM” by Terry Hayes is officially out. I cannot wait to read this bad boy again! And if you do check it out, please let me know what you thought of it. I meant to actually write this post for yesterday, but the words wouldn’t come to me. Sometimes, it is so hard to express my feelings. The biggest fear that I have in my writing is that nobody will like it. I am sure this is or has been a fear of many writers. I think this is the reason as to why I write in spurts. I will get very excited about a project and have a ton of motivation to work on it (since it is new) and then, it just slowly drops off, before I can finish it. I know that I shouldn’t let the fear take ahold of me, but I am subconsciously sabotaging myself. Granted, no one has really read any of my work. So, is it irrational to have the fear of no one liking my work when no one has really read my work??? If you’ve had this fear, how have you overcome it? Or how are you dealing with it? I’m not going to let the fear win. I will beat it. And if no one likes my work, then I will be ok with that, because I write for myself! Not sure if I will make my goal for the number of books I wanted to read for May. But, it’s been a crazy month. I went through my poems last night to pick which ones I want for a collection, and decided there wasn’t enough for what I wanted, so I am going to do a different collection instead – have to go through them again, and pick them. Have the title I will use for this collection, and have been thinking of book cover ideas. Hope to send out the collection for copyright next month. I am currently watching “Murder, She Wrote” season 7 (it’s on my list of things I want to do for May, woohoo) and finishing up typing the rest of my poems that I had previously written in a blank book. I suppose I should search around for any loose poems I have around after I have finished with the others. I am very excited to be just about done with them, and then figuring out some collections to put them in. Then I can send those out for copyright, figure out some cover artwork, then get them self-published. It is all very exciting. A lot of work. But I am keeping motivated on it. 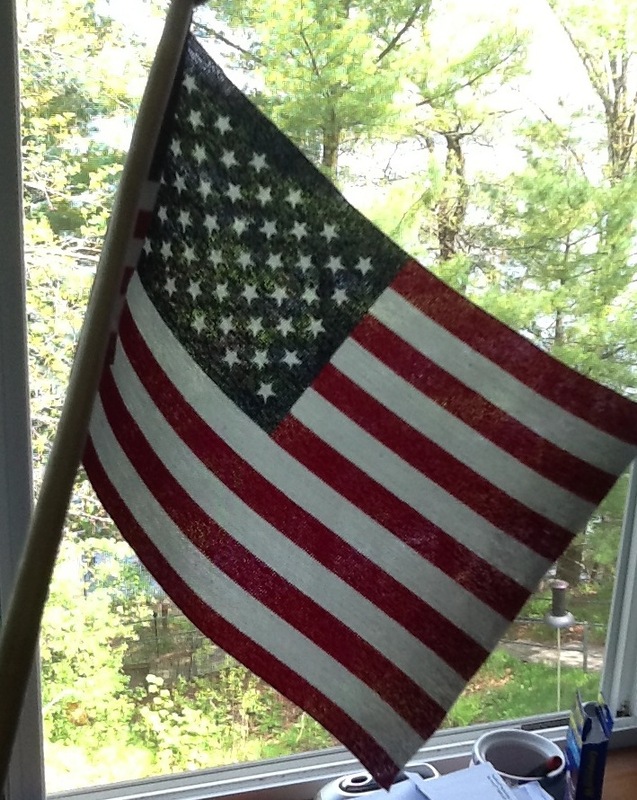 It’s going to be a couple of very busy weeks because I don’t have any days off until Memorial Day. I am currently on Day 5 of 20 in a row. But I will be getting some alone time next week, in which I have planned several cleaning projects, and working on some bookmarks that I started last year, but hope to get some much needed writing time in as well. Are there any movies, when on tv, you just have to watch them? I have several, but one of my faves is definitely “The Shawshank Redemption”. And guess what? I’m watching it right now! Even though this movie came out in 1994, I recently discovered it just a few years ago. And boy, I have been missing out. Late to the party (as usual). Brad Thor‘s newest release “Act of War” is due out on July 8th. You can pre-order that at Amazon here. His book tour dates have been released, check them out here. I’m hoping to catch him at the Minneapolis one! I highly recommend the Scot Harvath series. Especially if you are a huge Vince Flynn fan like me. Also, if you’re on twitter, you should definitely follow Mr. Thor at @BradThor. And a friendly reminder that Terry Hayes’ “I Am Pilgrim” will be out 15 days from now, on May 27th. You can pre-order it on Amazon here. I can’t say that I have had a productive weekend. But had a fairly good weekend nonetheless. It was forecasted to be rainy all weekend, but all we had was clouds today. Could be a little warmer though. Yesterday, I managed to get off from work an hour early (yay!) which is always appreciated, but the long day caught up with me, and I was pretty exhausted last night. I was so tired at 9:30, but ended up staying up until midnight. This morning, went out to breakfast with the folks for Mother’s Day (Happy Mother’s Day to all of the mommas out there! ), and spent many hours outside. It was nice. Very very nice. The weather needs to cooperate a little more, so we can get all of the outdoor things done that need to be done. Was planning on shaving my dog this week (she gets hot when it is warm out, and she picks up many ticks) but it is supposed to only be in the 50s. So, guess I will wait until next week. So the plan for tonight, it some more chillaxin, and typing up some more previously written poems. I recently started following MesAyah here on wordpress. He is doing a 365 daily poetry challenge, which will end up all in a book. I haven’t caught up on all the poems yet, but I am really enjoying them! Earlier this year, I had actually had the idea of writing a poem a day and turning it into a book. I still have the desire to do this, but I won’t be starting it until 2015, since I already have way too many projects I am currently working on/thinking about. And I know while I could start it at any time, I just feel it would best to start with a new year (I’m weird like that). I hope to have a chance to search for more interesting bloggers/blogs in the future. So if you have any recommendations, please let me know. Anywho, Cheers to a very productive week to all!